Before there were gyms and workout centers, there was simply man against his environment. 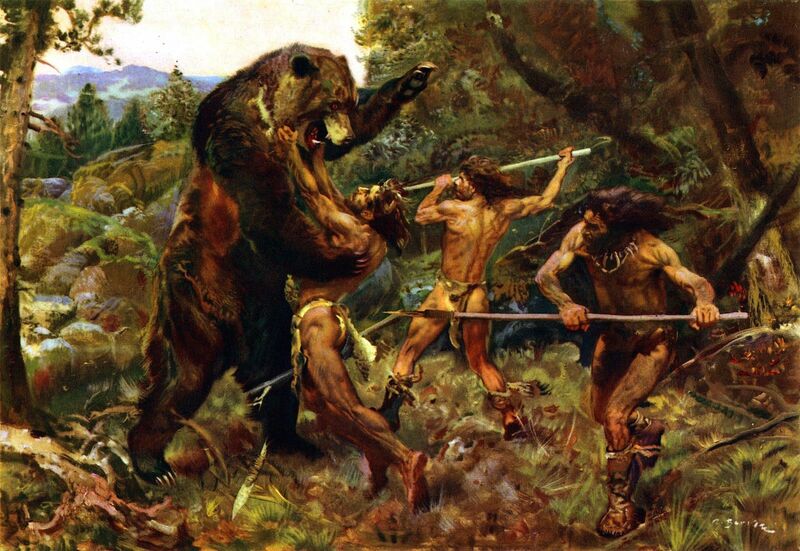 Harsh terrain and being a bit lower on the food chain were daily tests of early man's will to survive. In a very real sense, staying alive meant staying in shape. Early man lived in a time when the not so simple act of catching food was a life or death proposition. Imagine running down a mammoth over miles, cornering him against the face of a cliff, and charging with the sheer force of your body and a crude spear. Speed, agility, cunning and the force of will were all that stood between starvation and extinction. It's 2017 and the landscape has changed. Man is now at the top of the food chain and staying in shape is more of a choice than a necessity. In urban centers across the globe, young men and women chose to tackle their environment. They don't do it for food as their distant ancestors did. They do it to test the limits of what it means to exist in physical form. Does anyone know where I can learn this? Early man lived in a time when the not so simple act of catching food was a life or death proposition. Imagine running down a wildebeest over miles, cornering him against the face of a cliff, and charging with the sheer force of your body. Speed, agility, cunning and the force of will were all that stood between starvation and extinction. That was a good point! Many of those recording messages were reduced to tears of joy at Michelle's sight. The folks at NBC’s Tonight Show, hosted by Fallon, let regular Americans express what she meant to them while they faced a portrait of Michelle. Upon wrapping up their heartfelt farewells, they were shocked to suddenly meet Michelle face-to-face.